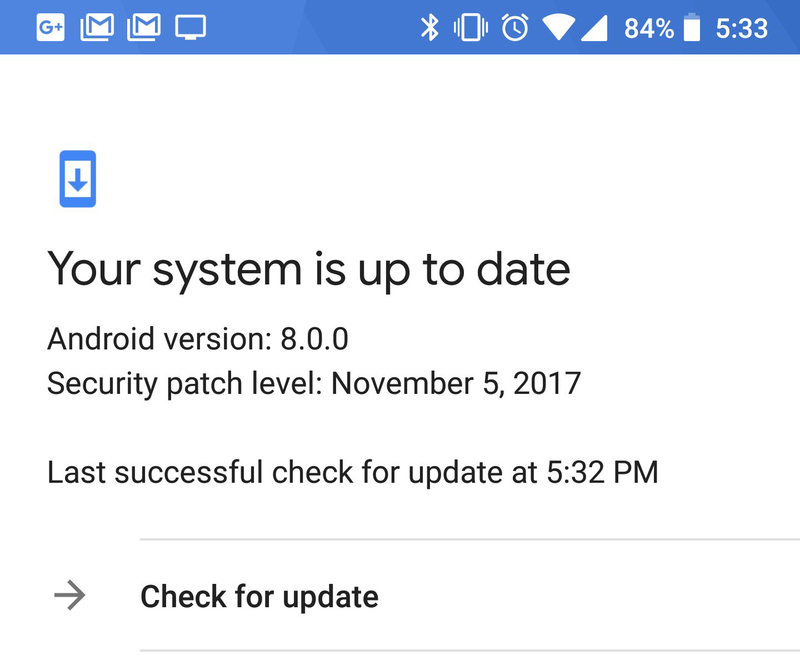 There was much celebration in the Android Police virtual HQ earlier this year when Googler Elliott Hughes revealed that the much-maligned "Check for update" button was getting an overhaul. After so many pointless presses, this button would finally do something on Pixel and Nexus devices. If there was an update available, the button would download it. However, this feature still isn't working. According to Hughes, the bug that broke this feature will be fixed in early 2018. OTA rollouts are usually conducted slowly to make sure everything is working. If a problem is detected after 1% of phones get an update, then you only have to fix 1% of devices instead of all devices. Makes sense, right? However, Google decided people who dig into the settings to mash the button are doing it because they really want the update. Thus, the functionality was changed. Only for Google's Nexus and Pixel devices, though. OTA updates for other device makers (and especially those tied to a carrier) go through different, slower approval channels. I was just complaining about this, too. Apparently, the button did initiate OTA updates for a short time, then an update to Google Play Services broke it. That led to some confusion when some users were able to get the OTA to download manually, and then it just never worked again. Was it a dream? A hallucination? Nope, it was just Google being Google. Here's the update to Hughes' post. UPDATE: a Google Play Services update after I posted this broke the feature again. (An API incompatibility between the System Update code and the Checkin code, if you're interested in the details: bugs involving two separate moving parts are often the sneakiest.) This was fixed again internally, but late enough that it will be next year before this works again for non-Googlers. Sorry about that. We will also be improving the testing process that allowed this incompatibility to slip through. And separately in the comments. +Hank Niemczyk I can confirm that you (and the others here) are not crazy :-) This feature did work for you, but then it stopped working for you when you got the next Google Play Services update. I've updated the post explaining the bug. So, there was an incompatibility between the check-in code in Play Services and the system update code in the OS. This error has been fixed internally, so Googlers have a working update button. It will be next year before it's rolled out to the rest of us, though. Hopefully, by then it's been tested properly and the bits that broke it are more locked down, so future changes don't break it all over again. Hey, I wouldn't put anything past Google. At any rate, that's at least one thing to look forward to in 2018.